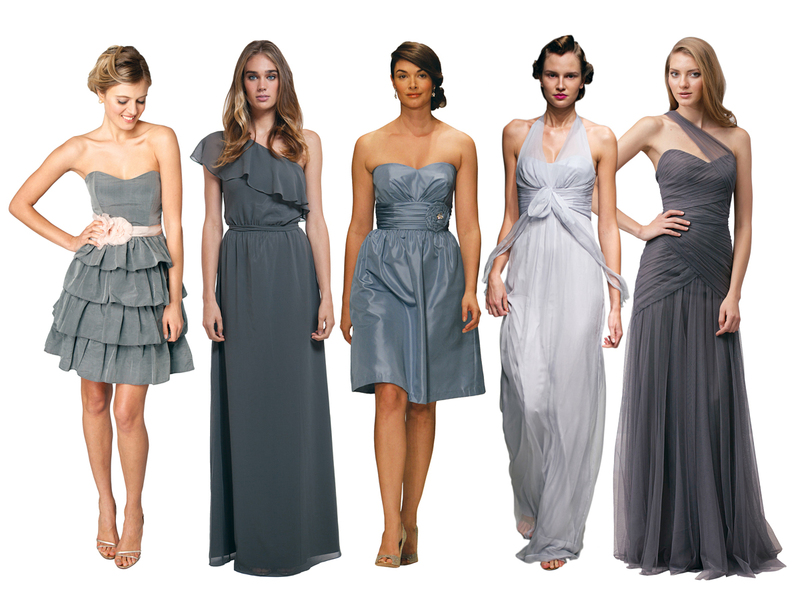 From pretty pleats to satin sheaths, this season's bridesmaid dresses come in all shades of stunning. A Jim Hjelm A-line chiffon gown keeps it short and sweet. Available at Bella Bridesmaid. 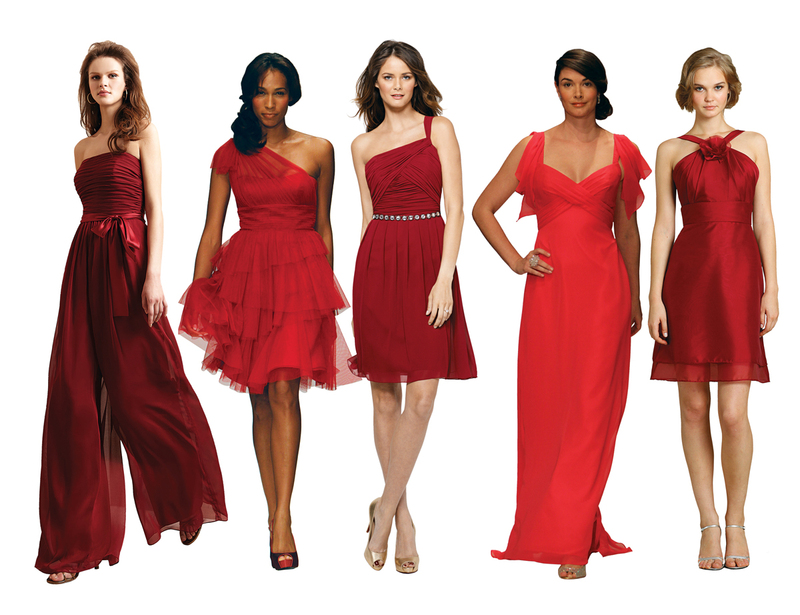 Red (from left): Belsoie, La Reine Bridal; Alfred Angelo; Watters, L’élite Bridal Boutique; Alfred Angelo; Alvina Valenta, Bella Bridesmaid. 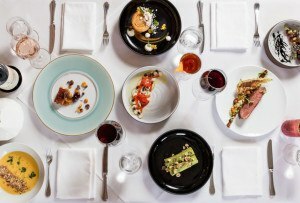 Gray (from left): Coren Moore, Flair Boston; Joanna August, Bella Bridesmaid; Alfred Angelo; Monique Lhuillier, L’élite; Amsale, L’élite. Brown (from left): Alfred Angelo; Jenny Yoo, Flair Boston; Jim Hjelm, Country Weddings; Monique Lhuillier, L’élite; Amsale, L’élite. 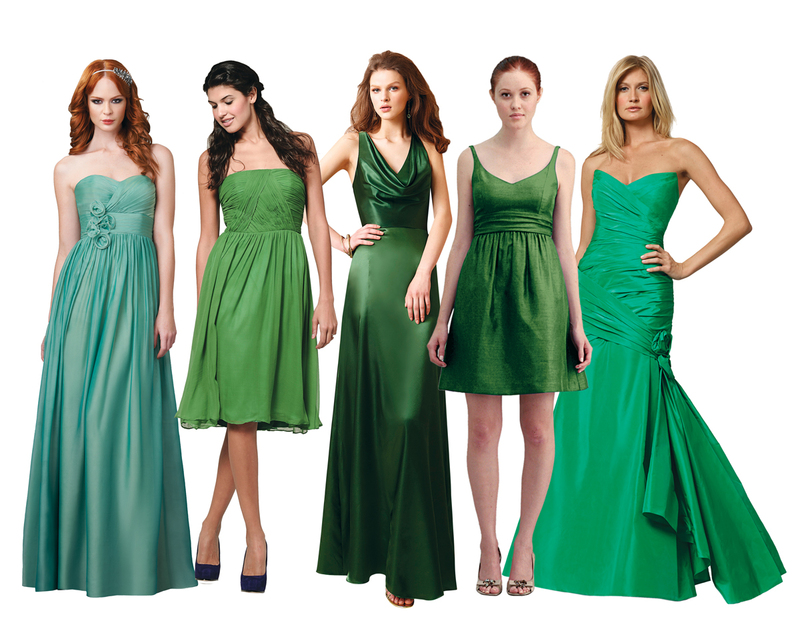 Green (from left): Bari Jay, Bella Sera Bridal; Ivy & Aster, Bella Bridesmaid; Belsoie, La Reine Bridal; Jenny Yoo, Flair Boston; Liancarlo, L’élite. Yellow (from left): Amsale, L’élite; Ivy & Aster, Bella ­Bridesmaid; Alfred Angelo; Liancarlo and Watters, both L’élite. 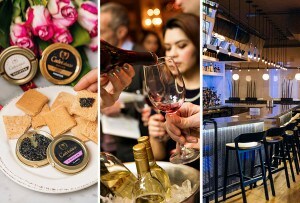 Purple (from left): Bari Jay, Bella Sera Bridal; Jim Hjelm, Country Weddings; Amsale, L’élite; Ivy & Aster, Bella Bridesmaid; WToo, Bella Sera Bridal.